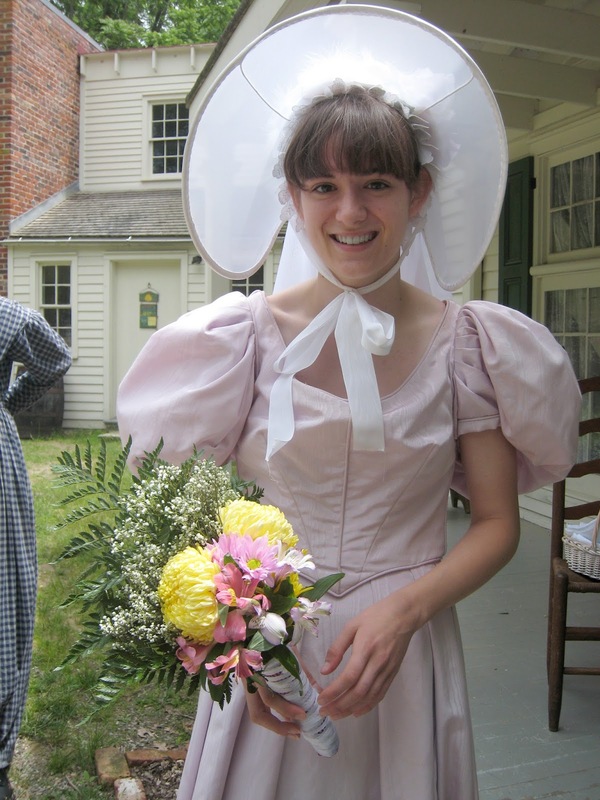 Allaire Village: A Story of Volunteering ~ The History Girl! When I was in high school, I participated in tons of activities - I was captain of a varsity sport, I edited the literary magazine, and I was active in the environmental club. I did all of these things, and held good grades, while also spending weekends as a volunteer at The Historic Village at Allaire in Farmingdale, New Jersey. I like to say that I grew up in 1836. I came of age in a time warp. I was married in a beautiful lavender dress - the same one dozens of other girls wore to their similar June weddings. I danced the Virginia Wheel in a church full of onlookers. I eventually figured out the secret to making a bonnet stay without falling off my head. I led an army of lepers during a haunted Halloween hayride. I mastered the art of the hoop and stick game. I pressed cider, cooked over an open fire, and ate so many delicious culinary treats from a bygone era. I was photographed by complete strangers hundreds of times, and sometimes I was asked to pose with children as if I was a Disney character. Allaire Village is a place that doesn't change. Every year is 1836. 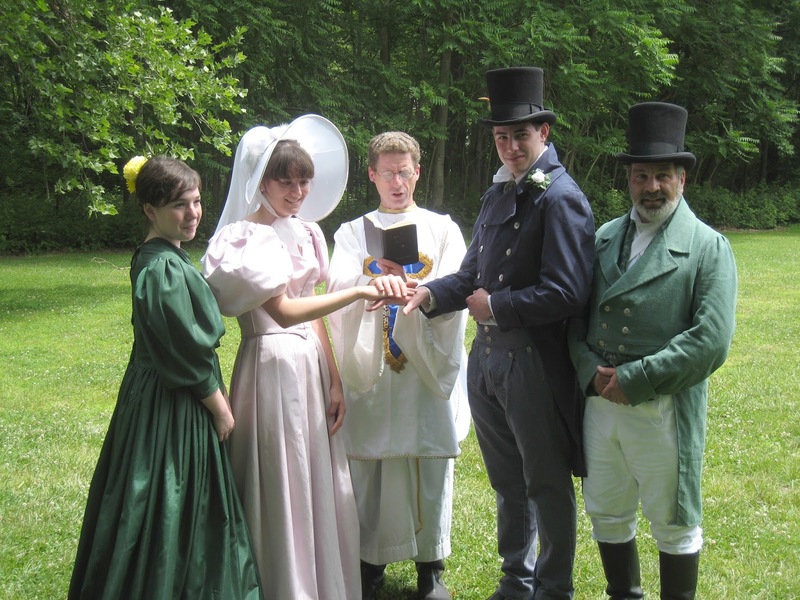 The same wedding, funeral, and holiday events take place each year. But it was a place that changed me. When I started volunteering, at age 15, I was quiet and afraid of trying new things. After a few weekends at Allaire, I wasn't either of those things anymore. Being a historic interpreter meant I couldn't be quiet. A big part of my responsibilities was to talk to strangers, all day. I would be assigned to a building or task for the day, and I had to educate visitors about the history and importance of the site. I needed to be able to answer questions, give directions, and give suggestions to visitors wanting to know how they should plan their day. Sometimes I even had to deal with people who were rude, caused trouble, or broke park rules. My time at Allaire gave me people skills that I'm not sure I would have acquired otherwise. Volunteering at Allaire was also good for my soul. It was relaxing to sit in one of the beautifully restored buildings. The slow days, ones where few visitors came to the village, were refreshing and helped me clear my mind. I loved sitting in the homes and pretending I lived there. When dressed to the letter in period clothing, seated in a carefully renovated home, it was easy to imagine myself belonging in 1836. I swept the creaking wooden floors with a handmade broom with as much care as I would clean my room at home. Between visitors, I would get a lot of reading done. I always shut off my cell phone and buried it deep into my basket, only bringing it back out once I was safely back in shorts and a tank top. I also made so many life-long friends during my time at Allaire. There are some I still talk to and see frequently, even though we don't live in the same town and didn't attend the same high school. Allaire truly felt like my home, and the people there felt like my family. I volunteered with people who were of all ages and backgrounds. There were other high schoolers, young adults, and people who were retired. And I had some kind of relationship with every one of them. This support system was so important to me when I was a teenager. Even though I gained a lot from Allaire, I think I did a lot of giving back to the village as well. For years, I spent every weekend, sometimes both days, at the site. I was part of the reason certain buildings could be open and part of the reason why events could happen. When you volunteer, you realize how valuable you can be to a place that needs help to function. When I was chosen as Volunteer of the Year in 2006, I had never felt so honored. I felt like I was truly making a difference at the site, and since it was a place I cared deeply for, that was such a great feeling. If you've ever visited a historic site and felt a strong connection to it, you should listen to that part of yourself and find a way to get involved. Most historic sites desperately need volunteers. Most sites have limited budgets and need volunteers in order to be open and hold events. And if you have any special skills or talents, your favorite site probably can find a way to use them. You could create a website, offer to photograph their buildings and staff, be an extra set of hands at a big event, help repaint a building, or sort and organize files. And if you don't have any particular special skills, my experience was that all I needed to be was willing to learn. I went for my first day of volunteering as a shy, intimidated teenager who didn't even know how to wear the clothing I was given (I put my dress on backwards!). I ended up learning the full history of the site and how to best communicate it to visitors of all kinds. 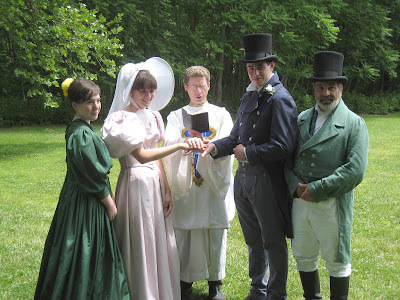 I also gained experience in how to perform different 1830s chores, how to use various household items, and how to dance and speak like a person from the past. While not all of these things enrich my day-to-day life (you won't find me doing laundry the 1830s way), they still stay with me even though I am no longer a volunteer at Allaire. And a lot of bigger things have stayed with me too - a lifelong love and respect for history, a desire to help places that need it, confidence and speaking skills, and friends who were there for the most rewarding time of my life. If you have ever thought about giving back to an organization where you live, click here for information on non-profit and volunteer groups that have been featured on www.thehistorygirl.com. Kerri Sullivan is a photographer, writer, and blogger who resides in Monmouth County, NJ. She will soon be attending a master's program with the intention of becoming an archivist - a career she hopes will combine all of her skills with her love for history. Her work can be seen on her website, www.kerrisullivan.com.